Dead quiet, looks good, and I can definitely feel it moving a lot of air. Does the job well and more. The only "con" is they are loud... as much as a vacuum cleaner. After the fans started humming and buzzing too loudly under gaming loads, I stopped using the adapters which come with the CM JetFlo fans. Instead I plugged the PWM conectors directly into the motherboard "cha fan (3+4)" slots. I also switched the CPU fan to the other side of the HS so that the top JetFlo fan can provide cool air for the cpu fan to pull through the HS and then blow the hot air through the back chassis fan out of the case. I think this is a much more efficient process. Then I set up a custom rpm and temp profile with ASUS FAN Xpert software. This way my rig is now much more quieter than before. And the fans don't sound like vacuum cleaners anymore. Will do for now - they are nice fans but are 4 pin with no adapter - had to modify them for a 3 pin fan controller. Very powerful pwm fan that's built to last. 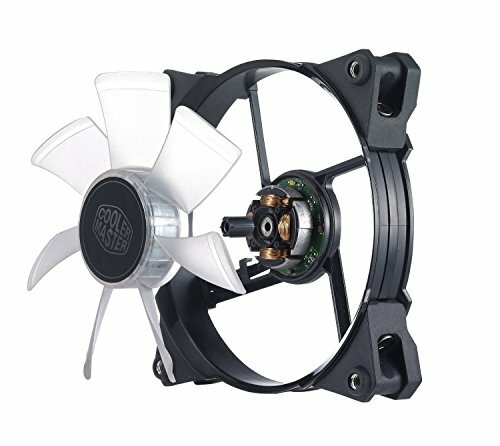 One of the highest airflow 120mm fans available. 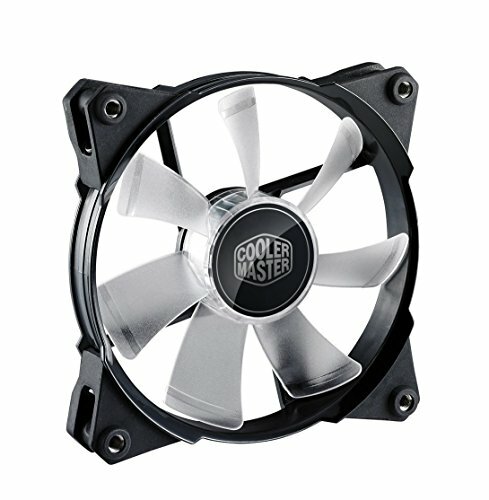 Just be aware: This fan gets VERY loud at higher fan speeds. I keep it between 40-50% at gaming temperatures and it is quiet enough that I can't hear it with headphones on and my friends can't hear it in voice calls. Don't use it without some form of speed control if you care about noise. It is blue and it moves air. Wooohoooo!! Nice fan, pushes a lot of air, but the leds are weak.. It is good with the performance, not with aesthetics..